A look at the history surrounding the Israeli-Palestinian conflict and how it persists today. The Israeli-Palestinian conflict is among the world’s most pressing and controversial foreign policy issues. The world is divided between the two sides, with the majority of the world’s diplomatic powers and media coverage supporting the Israeli narrative. In 1948, Israel, the first Jewish state, was established in the land of Palestine. Today, as Israel continues to build settlements out of Palestinian territory, Palestinians continue to be driven out of their homeland and denied basic human rights. Palestine has a rich history that stretches far beyond the creation of Israel in 1948, but the limited scope of this article will focus on the creation of Israel and how this contributed to the Israeli-Palestinian conflict. Nineteenth and twentieth century Jewish migrations saw the rise and spread of Jewish persecution and the accompanying increase in anti-Semitism across Europe. This prompted the development of Zionism, the political movement and ideology supporting the establishment of an exclusively Jewish homeland in what is now Israel. However, it is important to distinguish the religion of Judaism from the Zionist political movement— not all Jews are Zionists, and not all Zionists are Jews. The creation of Israel is a case of settler colonialism because a separate group of Zionist settlers took over an already-inhabited indigenous territory, aiming to replace the indigenous Palestinians with new Jewish settlers. The settler colonialists imposed an Israeli system of apartheid against Palestinians through ethnic cleansing, forced displacement, and prohibition from accessing basic necessities such as food and water. The Israeli government also built a wall on Palestinian land, around the West Bank, presumably to provide a “security barrier” against terrorism, but more likely for the purpose of restricting Palestinian movement. The case of the West Bank Apartheid Wall possesses often overlooked similarities to President Trump’s proposed US-Mexico border wall. The UN has received substantial criticism for its lack of action. UN Resolution 3236 recognizes the Palestinian right to self-determinination, as well as the right of refugees to return to land they were forcibly forced to flee. In denying Palestinians this right, Israel has blatantly violated international law. Neither the UN nor the broader international community has done anything to resolve this. For Palestinians, the West Bank Apartheid Wall has restricted their movement, denied them access to water and utilities such as electricity, and isolated their towns and communities. Constant military presence restricts Palestinian access to water in a system of water apartheid, one of the most overlooked aspects of the conflict. Israel controls all West Bank water sources and Palestinians are required to obtain special permits if they wish to build alternative water infrastructure. Palestinians are allocated a limited quantity of (typically contaminated) water on a specified daily or weekly basis, depending on the area, whereas the Israelis receive greater quantities of water with less difficulty. The wall has also contributed to additional violence committed by the Israeli soldiers stationed to monitor border crossings and otherwise maintain stability. The constant presence of Israeli soldiers is something that Palestinians are expected to live with. Occupying Israeli military troops frequently use violence against the Palestinians, regardless of if they are protestors or bystanders. There are multiple media accounts attempting to portray the unjust realities of Israeli military occupation. Instagram user @robert_martin_palestine_, for example, has posted videos of Israeli soldiers shooting, arresting, and otherwise brutally mistreating the Palestinian people. Mogannam launched into a personal recollection of a man throwing stones at Israeli tanks, a common demonstration of Palestinian resistance. Settlers and soldiers often attack Palestinians, who experience this type of violence so frequently that it’s become normalized. There are two mainstream proposals to resolve the conflict. The first, the two-state solution, proposes the creation of an independent Israel and of an independent Palestine. Simply put, neither side is able to agree on a fair or equal recognition of borders. The second, the one-state solution, proposes a unified Israeli-Palestinian state. Due to the complex and ideologically divisive nature of the conflict, this is the less popular option. Negotiations have failed because Israel has no reason to work toward an agreement. Israel is the stronger side with power over the weaker side; it has settlements, a strong military presence, a wall, and effective control over Palestine. It is unlikely that Israel would voluntarily make concessions to weaken its power. The peace process has further delayed as the world’s major international figures have become more and more complicit in watching Israel violate international law and ignore basic principles of human rights. Trump’s 2017 decision to recognize Jerusalem as the capital of Israel, despite Palestinian consideration of Jerusalem as their own capital, demonstrates continued US support of Israeli sovereignty. This refusal to stand up for Palestine, or hold the Israeli government accountable, is worsening the conflict and is contributing to an already-delayed peace process. Ultimately, Mogannam believes, the path to most realistic resolution starts by forcing the Israelis to the negotiation table. Otherwise, he says, on a more grassroots level, students can generally boycott Israeli companies that are directly related to violence. Versions of a bill for divestment were presented to the UCSD Associated Students in 2010, 2011, 2012, and 2013. The 2013 bill passed, but these funds have yet to be divested. Every university in the University of California system has passed an Israeli divestment proposal, with the exception of UC Santa Barbara, which, on Thursday, rejected their BDS proposal for the sixth time in seven years. Palestinians are still fighting for freedom and basic human rights. Hopefully students at UCSD can become more aware of the Israeli-Palestinian conflict and of the injustice Palestinian people have to live with. And here we go again, the Guardian proving once more that it is a mockery of journalistic integrity, recycling yet again the fictitious map that the Palestinians and their friends love to trot about to “prove” that they were progressively “dispossessed”, even though three of the four panels are lies, followed by the usual catalogue of Palestinian propaganda talking points. Here is a comprehensive debunking of this sinister farce: https://tinyurl.com/nyuxb9l . Had Ms. Sanli done the tiniest research, she would have found out quickly how much of a lie it is and she would (presumably) have refrained from writing her litany of nonsense. But of course she is not interested in objective reporting. All that matters for this joke of a would-be journalist is to make a political point, demonize Israel and exhonerate the Palestinians from any responsibility for their own demise. And yet, if this article can be said to have any redeeming value, it would be to be used as a perfect study case of the old, repetitive, Palestinian lies. Each one of them can be easily debunked, and as such it could be good training for Israel’s defenders against this kind of slander. This is amazing piece! Thanks for writing this. Obviously those who are on here spewing their hate have never opened a text book and it shows. Palestine will be free. 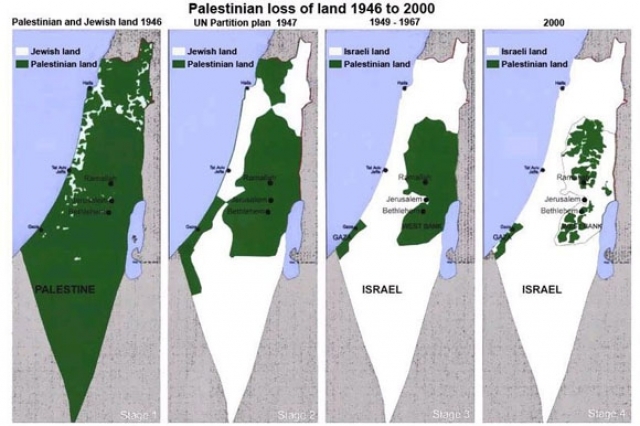 Pingback: Palestine’s Fight for Justice by Lara Sanli | Israel Genocide? The fact that this was posted as a feature and not an opinion/fan-fic piece disgusts me. Israel and the Jews predate Palestinians by millennia, and “Palestine” maintains the support of the majority of the world’s governments, as evident in the continuous and ongoing passage of anti-Israel resolutions by the UN Human Rights Council and general body. This piece is a disgraceful affront to journalism and does nothing to take into account the perspective of the Jewish people. Since its inception, Israel has been under constant threat of attack from all sides, and is/was surrounded by nations seeking nothing but its certain demise. To rob the Jews of their ancestral and now permanent home is to cheapen the lives of the 6 million lost during the Holocaust, and to spit in the face of the historical oppression of the Jews. Shame on Lara Sanli. Is this the fiction section of the student paper? The anti-Israel left continues to pander to the irrational, bigoted demands of the Middle East’s Arab Muslims to suppress the region’s only non-Muslim state in favor of yet another Arab Muslim country. Yassar Arafat rejected the best deal the Palestinians will ever get. The Palestinians won’t be satisfied until Israel is eliminated. I respect the Israelis for fighting for their homeland – and their lives.